We asked leaders from around the country to tell us what they were reading last year. Here’s what they told us about their top “reads” from 2013. Jamie: It's an incredible read that truly offers a legitimate and surprisingly refreshing challenge to our paradigm on discipleship. The book proposes that a key component of discipleship is our emotional health. Highly recommend it! Craig : This book came at just the right time for me, when I was feeling a bit empty and exhausted after a very busy and demanding season of ministry. The basic premise is that many Christians, and Christian leaders, today are spiritually mature while emotionally remaining incredibly immature because they don't take time to cultivate the inner life. As someone who can be a bit of a workaholic, author and pastor Scazzero encouraged me to slow down and get back to spiritual disciplines such as solitude and silence. He exposes the shallowness of much contemporary ministry and church life, encouraging us to go deeper and live out of a place of intimate communion with Christ. A must read for anyone in ministry, I have already given copies to some Pastor friends. A book that I am re-reading is by a priest, Fr Timothy Gallagher, about The Examen Prayer. Gallagher introduces the reader to a prayer that was used by Ignatius of Loyola at the end of the day. It takes us step by step through what the prayer is and gives practical examples of how people use it and how it has helped them. The book is very honest about the author’s own struggles and has helpful anecdotes of how Ignatius used the prayer. Written in a warm and easy way, it is powerful. For the past few years I have been reflecting on the philosopher Slavoj Zizek's idea that the worst slave owners were the ones who were kind to their slaves. For an excellent examination of this and how charity work often perverts God's intention for power, trust, impact and change look no further than Robert D. Lupton's latest offering Toxic Charity: How Churches and Charity Hurt Those They Help (and How to Reverse it). It will disturb and challenge all those involved in charity work without allowing the reader to retreat into paralysed apathy or debilitating cynicism. As the Chief Executive of Tearfund Irelad, Sharan Kelly has been considering a similar theme. Brian Fikkert is quoted as saying, “Poverty is about broken relationships...poverty alleviation is about reconciling relationship.” What does Brian mean when he talks about broken relationships? Isn't poverty about people not having money or jobs or food? Is it really possible that the local church is the answer to poverty? If so, how can we as the church support poverty alleviation without hurting people? If you want to know the answers to these questions and much more, then I highly recommend “When Helping Hurts: How to Alleviate Poverty Without Hurting the Poor”, by Steve Corbett and Brian Fikkert. I re-read The Screwtape Letters by CS Lewis. The insight CS Lewis shows into human nature consistently causes me to shake my head and think, “How does he know people so well?! It’s as if he knows me!” I also find the book lifts my eyes again to God - the One from whom all good gifts come. I’m currently reading Good News to the Poor by Tim Chester. I’m delighted by this clear discussion on poverty and justice. So far, it has helped me to articulate better some of my thoughts and ideas around these themes and has equipped me as I seek to share with others around Ireland about the work of International Justice Mission. Patrick Mitchell is a lecturer at the Irish Bible Institute and a popular Christian blogger. His choices could never be described as “lightweight”! The Christian publishing phenomenon of 2013 was N. T. Wright’s long awaited Paul and the Faithfulness of God: Christian Origins and the Question of God Vol 4. Just out, it looks destined to be a profoundly significant book that will be shaping discussion of Paul for years to come. It’s big (1680 pages long), bold (it’s N. T. Wright after all), creative, controversial, academic yet wonderfully readable and expensive at around €50 (sure that’s only about three cents per page). It covers Paul and his world (part 1), Paul’s Apostolic Mindset (part 2), Paul’s Theology (part 3) and Paul in History (part 4). I’m just getting started – ask me in another year what I think! A handy little stocking filler for Christmas. My current read is satisfying in its turns of phrase: Bring up the Bodies. 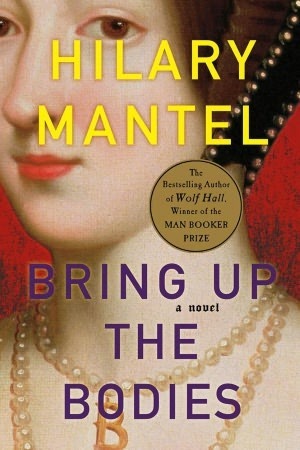 I like how Hilary Mantel writes in the present tense and draws you into each scene as history slowly unfolds; I also love how she gets inside Thomas Cromwell's mind and turns him into a human being. I could also tell you about “Between Africa and the West: A Story of Discovery” - written by a colleague of mine, Rev. Dr. Sahr Yambasu. He tells of his childhood in Sierra Leone and his discovery of England and Ireland (and his wife!) and then tries to analyse and make sense of the difference. I wish someone had proof read it better(!) but it's an easy read with a couple of very thoughtful and thought-provoking chapters at the end. 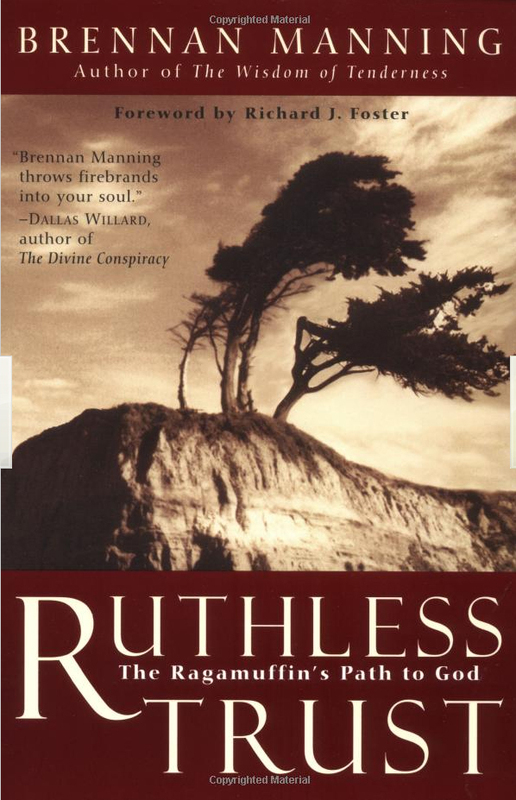 Christine Hand, the Assistant Pastor of Dublin Vineyard, was quick to recommend Ruthless Trust by Brennan Manning. I recommend Ruthless Trust to anyone who struggles with feeling loved or with feelings of shame, remorse, guilt, lack of self-esteem or self-hatred. The Challenge of Change by Phil Potter really gets to grips with the issues facing churches that are stuck in their ways. Especially the chapter on the priority of understanding the importance of shared values. It is very readable, packed with illustrations and personal experience. Bob Goff has made a huge impact in both his home life and his business life. What fuels his impact? Love. But it's not the kind of love that stops at thoughts and feelings. Bob's love takes action. Bob believes Love Does. When Love Does, life gets interesting. Each day turns into a hilarious, whimsical, meaningful chance that makes faith simple and real. Each chapter is a story that forms a book, a life. And this is one life you don't want to miss. With regard to a book that I've read in the last year or so, I think the best is The Shaping of Things to Come by Frost & Hirsch. It was actually published in 2003 but this particular book is a far sighted and seminal study that continues to be relevant today. It contains a real challenge to the Church to be incarnational in our mission given that the Church is no longer the centre of society in the Western world. I don't entirely agree with all of it (though I do with most of it), however, all of it is challenging, thought provoking and stimulating.